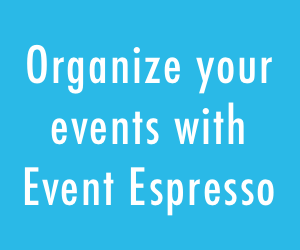 Hire an Event Espresso Consultant Today! Do you need functionality for Event Espresso that is not offered out of the box? As an event professional, you have a lot to think about and selecting a developer can often be a life-changing experience. That’s why Event Espresso is a Codeable.io partner because they take the hassle out of searching for and hiring a WordPress developer. Simply, post a job on Codeable and have their pre-approved developers provide you with a quote for customization work. Alternatively, feel free to contact any of the following consultants directly when you need some custom work done related to Event Espresso or WordPress. The following developers have experience with Event Espresso for their clients and have requested to be listed in this directory. Event Espresso does not make any guarantees for their services. This directory is offered as a community benefit to Event Espresso users, we offer our recommendations on how to select a developer. Instructions: Please look through the listings and use the contact form below to contact that developer. We expect them to respond within 24-48 business hours. If they do not respond within that time, feel free to contact another developer. WisdmLabs is an evolving team of WordPress developers with an expertise in developing websites for various types of businesses. Based in India, our team of software developers and business development experts are dedicated to building efficient and practical web solutions for our clients. What started off as an analysis for a potential client, Event Espresso soon became the de facto choice for Event based websites, and today has developed into one of our core niche service offerings with an increasing portfolio of projects under our belt! Right from setting up the complete plugin to providing additional features such as auto-creation of event waitlist, creation of custom event widgets and addition of user roles we have provided various customization services. We also specialize in a broad range of payment gateway integrations with Event Espresso and custom add-on development for it. Apart from Event Espresso based WordPress development, our specialized teams of experts have also successfully delivered a vast array of projects involving integrations with plugins such as WooCommerce, Gravity Forms, WPLMS, BuddyPress and LearnDash to name a few. So, if building a event ticketing website with Event Espresso is on the cards or if integrating it with a third party plugin or application is crucial for your business, then you can get in touch with us. We created a complete marathon event organization and management workflow using the Event Espresso Plugin. The architecture and the functionality of the plugin were completely modified to provide features such as; registration and maintenance of participant profiles, automatic generation of bib numbers for runners, import and export functionality for participant records, creation of an User Access Matrix to manage accessibility of a user (runners, race organizers), etc. We also integrated several payment gateways for the Event Espresso Plugin. We’re a small, agile team of web designers, developers, and server geeks that love to help businesses strategize, create, market, and maintain strong, effective and profitable websites and web applications. Our staff has well over a decade of experience engineering successful websites in many industries. Check our web design portfolio for examples of our work. We love making customers happy and pride ourselves on providing above-and-beyond customer service and stellar technical support. We’re crazy fans of WordPress; it’s our platform-of-choice. Need professional Event Espresso and e-commerce help? Let us know; we love a challenge. We also create custom WordPress themes, plugins, and widgets and provide group and one-on-one training. Custom Event Espresso-based site for a small town non-profit that is committed to enriching their community through music and music outreach. 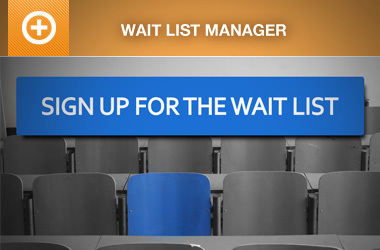 The site sells tickets to events and provides timely information to fans and participants. We provided strategy and consultation, an original design, all Event Espresso implementation and customization, e-commerce implementation, testing and launch. This site was so well-received that the chorale at Anna’s Bay was invited to perform at Lincoln Center in New York. LuminFire creates brilliant technology solutions and custom applications that make work more effective, productive, and profitable. * Building advanced WordPress sites and web applications using the Genesis framework. * Developing hybrid mobile applications (backed by WordPress and/or PHP/MySQL). * Rapid development of custom FileMaker applications for mobile iPad/iPhone and desktop MacOS/Windows. * Geographic mapping, analysis, and visualization of location data using GIS. * Application integration with WooCommerce, Salesforce, QuickBooks, Stripe, MailChimp, and many others. Companies invest in technology solutions with LuminFire because of our strong technical skills and ability to create innovative and cost-effective custom solutions to their business challenges. We deliver technical solutions that provide businesses with the strongest competitive advantage, lowest cost of ownership, and best long term stability. Cosmik Carrot is a small team of WordPress developers with plenty of experience in developing custom websites using Event Espresso, which continues to be the best commission free event registration tool on the market. The integration of Event Espresso along with several other selected plugins like Stripe, Paypal, Gravity Forms, LearnDash, WPLMS, and Mailchimp will bring your website to the forefront with the ability to accept payments for your event registrations. We are very interested in jobs that include; online tickets, online booking, ticket website, event booking, event management, memberships, classes, shows, seminars, meetings, gigs, concerts, dances, fetes, and any other type of event that you would like to make a ticketed event. At Cosmik Carrot we also run our WordPress Maintenance Support, so once your new website has completed development, we can then take care of all the maintenance for you, so you can continue to do what you do best within your business, or organization. We also offer SEO services, hosting, and email setup, and look forward to your enquiry. The Beverly Hills Women’s Club invited Cosmik Carrot back to redevelop their whole site after initially developing their EE3 integration, and integrated the upgrade to EE4 into their new website. The Beverly Hills Women’s Club is a non-profit organisation celebrating their centenary year in 2016, and continue to sell tickets for all of their events raising money for numerous charity’s in the Los Angeles area, thanks to the commission free plugin Event Espresso. We work with businesses of all types and sizes to design mobile friendly WordPress sites. 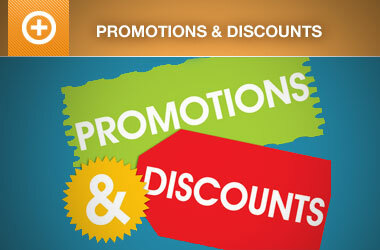 The goal is to incorporate their business practices and to maximize sales. For companies that need to sell tickets to events, EE is the only option. Paying It Forward for Purple is a charity that looks to raise awareness of Pediatric Epilepsy. In prior years, they used EventBrite to sell tickets to events (including their Croquet for a Cure event). They paid 2.9% plus 49 cents per ticket and then they paid Paypal 2.9%. With the new configuration, EventBrite has been cut out, allowing them to keep more of their hard earned dollars. EE was used to sell tickets (single, twosome, foursome) for playing in the croquet tournament, as well as to raise money through donation. We also sold Red Sox tickets through EE. We used the Stripe integration and it has been fantastic. WooNinjas is a Professional WordPress & WooCommerce service provider. We have a hand-picked team of extremely talented and highly experienced WordPress experts, and we call them the WooNinjas. We are also listed as Easy Digital Downloads certified consultants here. Specializes in: WordPress plugin development and customization, Easy Digital Downloads, LearnDash, Gravity Forms, and BuddyPress. Leading pain management group, National Spine & Pain Centers, approached us to create a digital presence for their annual conference on pain management-the Business of Pain Medicine. 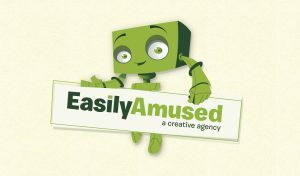 Easily Amused created an event management website to fit their budget and show off the opportunity for learning at their annual conference. Aparna has extensive experience in extending existing WordPress plugins and themes. She has been writing PHP, JS, CSS, HTML for many year’s and has worked with many popular libraries, platforms and frameworks during that time. She has experience integrating WordPress sites with search engines like Solr and Sphynx, and has extensive experience working with 3rd party API integration’s, custom plugin development, Security, and debugging. 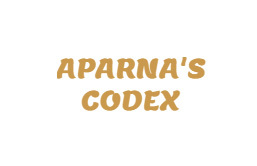 Aparna can be your trusted consultant for all web related things. She’s just an email, Skype or phone call away. Specializes in: WordPress with a focus on WooCommerce, Event Espresso, and theme customization. As well as integration with SMS services and custom solutions for Event Espresso 3. Please select the third-party developer whom you would like to contact to receive a quote, then complete the contact form. I consent to have this website store my submitted information and share it with your chosen consultant so they can respond to my inquiry.